Sheng Mubao was driving his Tiggo 5, the model introduced by Chinese automaker Chery in 2013, in Moscow when he was stopped by a traffic warden at a crossing. A nervous Sheng quickly fished out his driving license, thinking he might have broken some rule. But to his amazement, the police officer's granite face split into a grin. Instead of writing out a ticket, he asked Sheng the name of his car model, its price and finally, his phone number. Several days later, the man actually called and bought the same model. This was a shot in the arm for Sheng, who has been working for the Russian subsidiary of Chery since 2009, four years after the unit was established. Russia is one of the major markets of Chery. Tiggo 5 and other Chery models racing back and forth in Russian cities are a common sight today, given that more than 200,000 such vehicles have been sold in the market. Chery's tracks are visible in more than 80 countries around the world with its overseas sales exceeding 1.4 million units. In 2018 alone, the figure crossed 126,900, up 18 percent year on year, according to the company's data. The overseas run started in 2001. A Syrian car dealer was impressed by a Chery Fulwin model displayed at Auto China, the biennial auto show held in Beijing, and went all the way to Wuhu in east China's Anhui Province, where Chery's headquarters is located. President of Chery Yin Tongyue was in a meeting when the dealer arrived. As the dealer was persistent, Yin came out of the meeting for 10 minutes and talked with him in the street. The chat led to 10 Fulwins being exported to Syria, putting Chery on the path to the global market. In recent years, not only Chery but several other Chinese automakers have consolidated their position in overseas markets. From January to November 2018, China's automobile exports reached 1.05 million units, a 12.9-percent increase year on year, according to the General Administration of Customs of China. They have become China's name card to showcase the progress made by its manufacturing industry. According to Sheng, a cross-border freight train service has made it possible for Chinese cars to be delivered to Russian cities such as Moscow, Yekaterinburg east of Moscow and Novosibirsk in Siberia in 15 days. It was unthinkable in the past when they had to be shipped, taking 40-45 days. 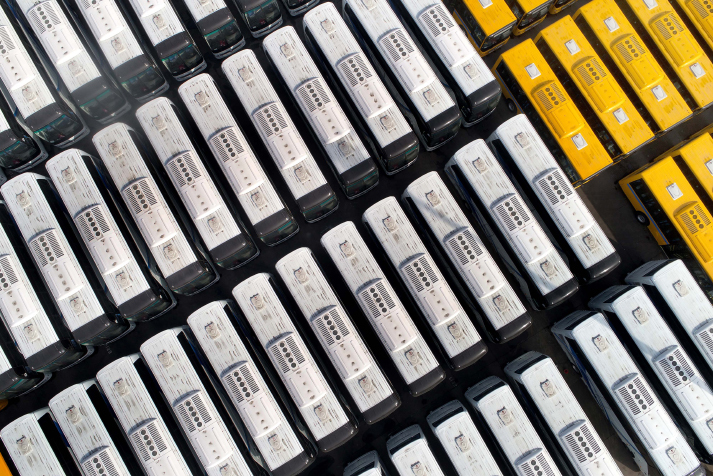 Sheng said direct rail transportation is also time- and cost-effective compared with transferring cars from ports to inland showrooms by other means of transport. Xi Jinping in 2013 and consisting of the Silk Road Economic Belt and the 21st-Century Maritime Silk Road, aims to build a trade and infrastructure network connecting Asia with Europe and Africa along and beyond the ancient Silk Road trade routes. "Under the Belt and Road Initiative, investment has been facilitated and trade and investment barriers eliminated. Bilateral trade agreements have been signed and double taxation has been avoided," Wang Shunli, Deputy General Manager of Guangzhou Automobile Group Motor's International Sales Branch, said at a recent forum in southwest China's Chongqing. "Increased Chinese investment in infrastructure construction in the countries participating in the Belt and Road Initiative is fuelling their economic development, and this will boost their need for products like cars," Wang said, adding that Chinese automakers' competitiveness is also growing. "Through Belt and Road cooperation, some countries now have their first motorways or modern railways, some have developed their own car industries, and some have seen an end to their longstanding power shortages," Yang Jiechi, Director of the Office of the Central Commission for Foreign Affairs of China, said on March 29. In 2017, BELGEE, a Chinese-Belarus joint venture where Chinese carmaker Geely holds over one third of the stakes, launched the first modern automobile production line in Belarus, creating 1,700 jobs for locals. Alexander Lukashenko, President of Belarus, said the plant "fills the gap" in the country's automobile industry. In the same year, Geely's wholly owned subsidiary, the London Electric Vehicle Co. Ltd. known for its black taxicabs, started a new production line for electric taxis and changed its name to London Taxi Co.
"It is a revolutionary change for electric vehicles to take place of traditional fuel vehicles in Britain," Liu Xiaoming, Chinese Ambassador to the UK, said. "Electric taxis will reduce emissions and improve air quality," Yang Xueliang, Vice President of Geely, told Beijing Review, "They can also reduce fuel costs by £110 ($143.9) per week compared with diesel vehicles." Forty percent of the electric vehicle components are provided by British suppliers, which helps increase local employment. More than 1,000 jobs are expected to be created by the plant directly, and over 300 jobs at companies in the industrial chain, Yang added. According to the Society of Motor Manufacturers and Traders, the British motor industry's trade association, every time a car-related job is created in the UK, it produces three opportunities in the supply chain and beyond. Chinese auto companies also provide customers with customized products and services. "In places like Saudi Arabia, the surface temperature is often as high as 70 degrees Celsius. We adjust our products according to local climate, road environment and consumer personality," a Chery spokesperson said. Along with the opportunities, there are challenges too for Chinese automobile enterprises venturing abroad. In 2014, the Russian ruble devaluated drastically, causing many overseas carmakers to withdraw from the market. Chery underwent a hard time as well but stayed on to provide customers with after-sales services, which increased its reputation in Russia. A year later, Iraq's situation deteriorated. Just days after Chery's team returned from business negotiations in Baghdad, the capital city, they learned the hotel where they had stayed suffered from a chain attack, leaving nearly 100 people dead. "The Chinese auto industry faces many challenges to tap into the global market," Gao Hesheng, Deputy General Manager of the China Automotive Technology and Research Center, a research organization, said at a forum in Shanghai in November 2018. Gao said the challenges include fluctuating exchange rate, political turmoil, frequent trade barriers, rising cost of production and increasing market competition. 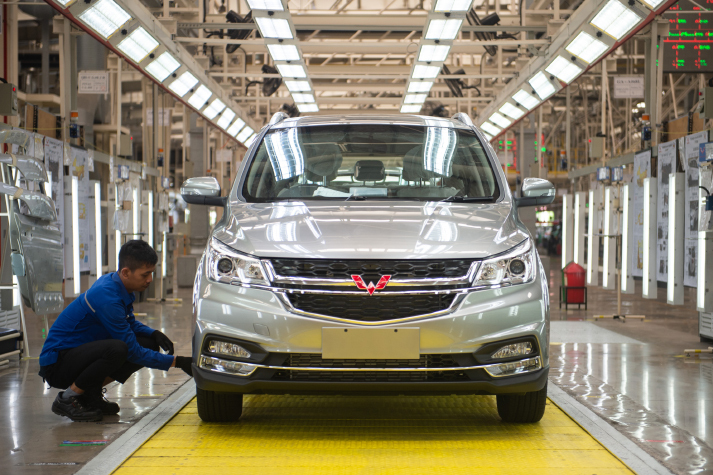 "Chinese auto enterprises are still at the preliminary stage for overseas development with relatively small market share," Yang said. To cope with the challenges, he said it's essential to localize production but make distribution global. For this, local cultures, management, technology and brands have to be considered carefully. The purpose is more than selling more cars. It is to penetrate overseas markets. But in the long run, without sufficient knowledge of the market, Chinese companies will be vulnerable to trade and technical barriers and exchange rate fluctuations, Yang warned. Li Shufu, President of Geely, told the media in March that 2019 is a crucial year for the automobile industry. Chinese companies must integrate into the global industrial chain, cooperate with international partners and forge core competitiveness. He said Geely is well prepared to embrace the new opportunities. "The global automobile industry faces great opportunities for innovation in the 21st century. Carmakers will find it hard to battle it out on their own. Only through cooperation with global partners can they reach the height of technology. The Belt and Road Initiative provides us with excellent opportunities," Yang said. Chery is also ready, stressing localization in overseas markets. Its investment abroad has reached 20 billion yuan ($2.98 billion) supported by several research centers to promote its brand, technology and services. "During the past 10 years, I saw Chery transform itself from boosting sales with low prices to grabbing market shares from brands from Japan and the Republic of Korea with high-quality products and services," Sheng said. "I have also witnessed Russian customers' attitudes turning from doubt to appreciation."